Fox Pest Control provides pest control in Ronkonkoma and the surrounding areas. We take pride in providing exceptional customer service, and take to heart the feedback we hear from each and every one of our customers. 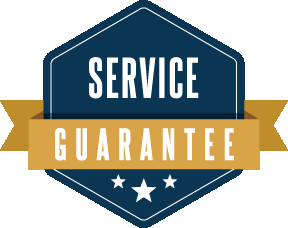 Below you’ll find our reviews, testimonials, and feedback from the home owners and businesses in Ronkonkoma we’ve serviced. If you need a Ronkonkoma exterminator, contact us today! I was satisfied with the service. Everything was explained and any concerns were addressed. I already recommended your company to a colleague. Very professional. Quickly responded to our service call and haven't seen a pest since. Keep up the good work! Friendly and very professional. Took care of all my extermination issues. Reasonable prices and completely satisfactory . THE MARTIN FAMILY !! Fast service David S was very professional and helpful. We have been a customer of Fox for 3 years and have always had a great experience. Jose and all the employees are friendly, prompt, knowledgeable, and affordable.